The First Step is to qualify the prospect. Here’s how you should do it. *Remember: scripts are not to be followed legalistically or spoken robotically! Make them your own. Memorize the STEPS of the Flow, so you are smooth and sound real. Not like a talking head trying to make a sale! The objective here to is lead the prospect to a place of personal discovery. Only the prospect can decide if they are open to moving foward into a new life trafectory. The Second Step is to dig just a little bit into the prospect’s concept of his or her future. Questions like these cause the prospect to dig deeper and reflect. Often times, the PROSPECTOR desires to plan the future for the Prospect, and statements like “you’d be great at my business!” or “I just know you can make money with this opportunity!” tarnish the prospecting process. BEWARE! This process isn’t about YOU wanting a new prospect on your team. This process is 100% about the prospect! Ask the leading questions genuinely, and then listen intently to their answers. They will tell you whether they are a candidate for your business or not. The Third Step is tough for many people, because it requires you to push the prospect away. This is difficult because most sales people want to make the sale so badly! But your job is NOT to make a sale. Your job is to qualify the lead. Using the “push away” technique can be highly effective. It let’s the prospect now that you don’t need them; you are merely offering them an opportunity. It can be highly affecitve! This piece of script accomplishes 2 things: The takeaway “What I’m about to show you is probably not for you” says to the prospect I don’t need you. Additionally, it takes the pressure off of the prospect and let’s any thought of being “sold” float away. “…although you will likely be drawn to the product. Most people are.” places the prospect in the majority. It let’s the prospect know that people do in fact like your product or service. It provides social proof in the even they choose to be your customer, and (even better) let’s the prospect know there exists a strong desire for your product should this prospect choose to actually get started as a distributor with your team. We will always have the Rookies and the Pros in our beloved industry, Network Marketing. Higher Skill Set (among other things) must be developed for you to reach a Mastery Level in your Business. Scripts like these above have stood the test of times! I highly recommend you adopt it, memorize it, and perfect you delivery if you choose to be a high performer in Sales or in the Network Marketing Industry. MORE FREE TRAINING: Did you enjoy this FREE Training? 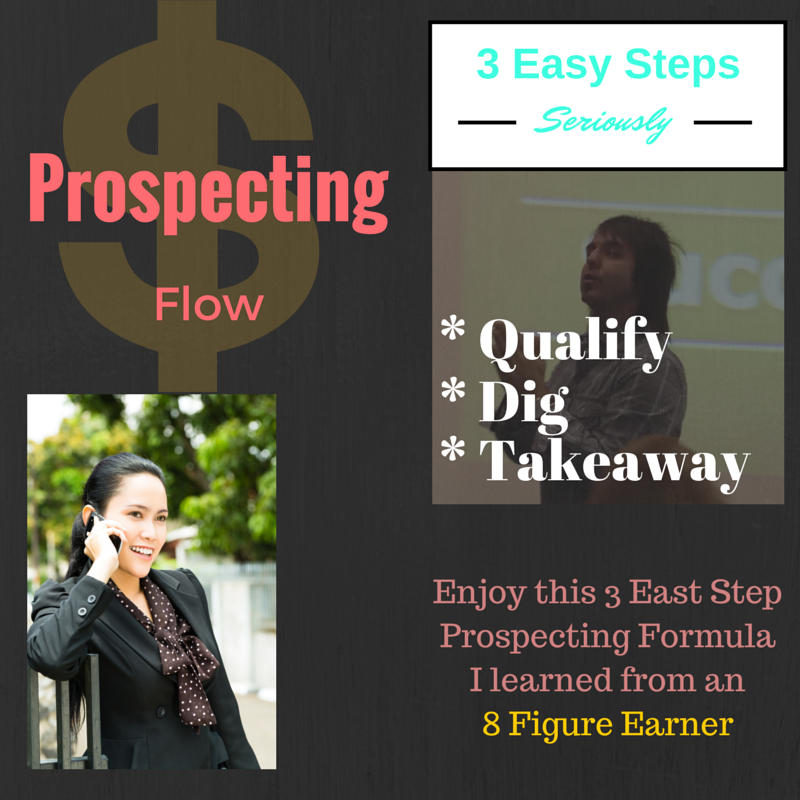 If you did, you may also enjoy this PROSPECTING TRAINING too! Would you do me a favor? Give me a comment on my FB Page here if you found value in this content. THANKS!